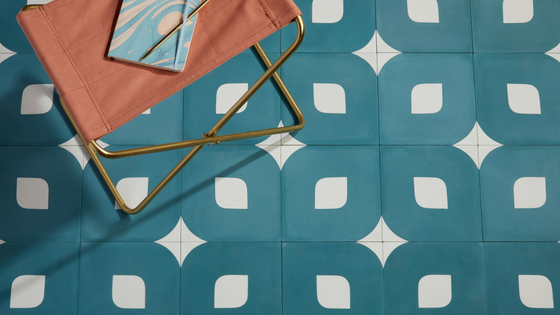 Discover the beauty and practicality of encaustic cement tiles. 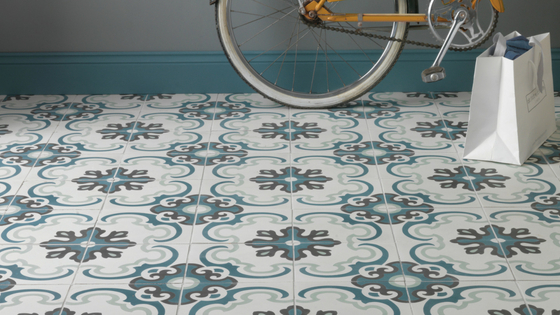 The fascinating art of making encaustic cement tiles has been around for hundreds of years. 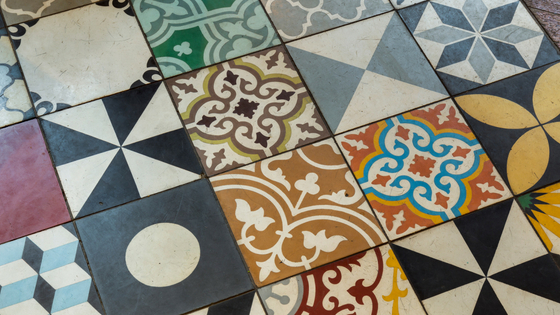 In many countries, encaustic tiles are still hand-crafted using traditional patterns, and as newer designs are introduced, their popularity in modern homes is increasing. 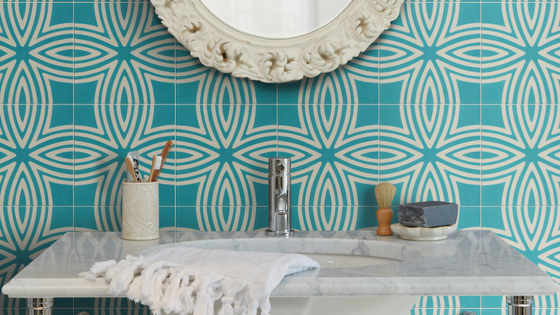 Be inspired by the versatility of artisan-made tiles and bring a classic, enduring look to your home. Encaustic cement tiles – in which the pattern or figure on the surface is a product of different colours of clay – were first made in Europe in the late nineteenth century. Historically, the term ‘encaustic’ refers to the firing process that burns a glazed pattern onto the surface of a tile. However this term has also been applied to cement tiles with a deep inlaid pattern (rather than a surface glaze). These tiles are compressed in their manufacture, not fired. 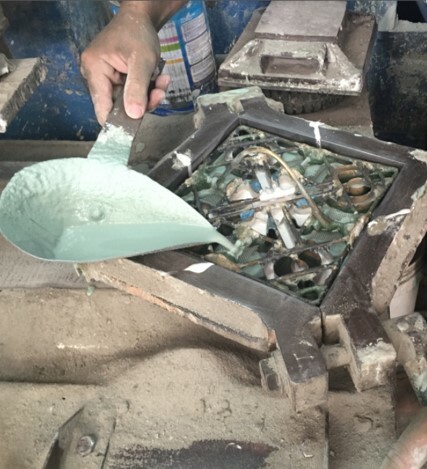 Mineral pigments are hand-poured into a design mould, the tile is backfilled with cement then set by hydraulic compression before curing. Inlaid-pattern cement tiles are found world-wide. In the late nineteenth century, they were used to decorate the floors of palaces in St. Petersburg, Gaudi’s distinctive house in Barcelona, and grand hallways from Paris to Saigon. Today they are to be found in countless chic bars, restaurants and designer homes in London, Paris and New York. The art form survives in France, Spain, Italy, Turkey, Mexico, Latin America and Scandinavia, although composition and designs vary with cultural influences. Imported tiles influenced by the Mediterranean were all the rage in the nineteenth century. Cuba adapted the process from Spain and Havana’s gently decaying colonial buildings are famous for their lovely time-worn tiled floors. Vietnam, where examples of decorative cement tiles are found in eighteenth century pagodas and churches, also has a thriving tile industry today. Wired Marine Pattern encaustic tile. As well as keeping artisan crafts alive and providing commercial opportunities in less-affluent countries, there are also some environmental payoffs in handmade cement tiles. They use earth-based components, natural pigments and consume less energy to make than fired tiles.